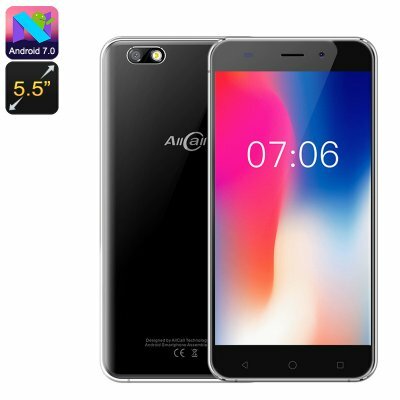 Successfully Added AllCall Madrid 3G Smartphone - Android 7.0 OS, Quad Core CPU, 5.5-Inch Display, 2600mAh Battery, Front & Rear Camera (Black) to your Shopping Cart. The Allcall Madrid smartphone is powered by a quad-core MTK6580A SoC, 1GB RAM and has 8GB of internal storage. This cheap phone runs on Android 7.0 out of the box and brings respectable usage times with its 2600mAh battery. A 5.5-inch touchscreen delivers HD resolutions and the phone has 3G network support for 900 (B8) and 2100 (B1) frequencies as well as the quad-band 2G. If you're looking for an affordable smartphone that does everything you require from a phone but without all the expensive bells and whistles then this is the ideal handset for you. With an attractive price tag and sleek body that features a nice metallic rim and glossy finish, the AllCall Madrid is a tempting choice and worthy of your attention. The AllCall Madrid android phone comes with 12 months warranty, brought to you by the leader in electronic devices as well as wholesale cheap phones from China..